& from Scotland including Torrisdale. The sleeve is a striking forest green for the most part & the Roger Dean artwork still looks amazing. Only the edges of the fold-out sections, which fold over to the back. This example is in good condition, with some minor general wear including some edge scuffing present. The wrap-around section has unfortunately been torn on the right section but has been tape reinforced, otherwise both still attached & complete. The labels are clean with no tears or writing, with a some spindle marking by the centre hole to show play. The matrices are machine stamped in the run-outs & end 1Y/1 / 2Y/1. The vinyl is strictly graded G/VG-, with some noticeable surface marks and the occasional light scratches on both sides but these cannot be felt & do not affect play. This has professionally cleaned on a Matrix machine and play tested. There is a spot of background surface noise in the quieter sections but otherwise still sounds really nice. Although not mint this is still an acceptable copy of this hard to find pressing, offered at an advantageous price. 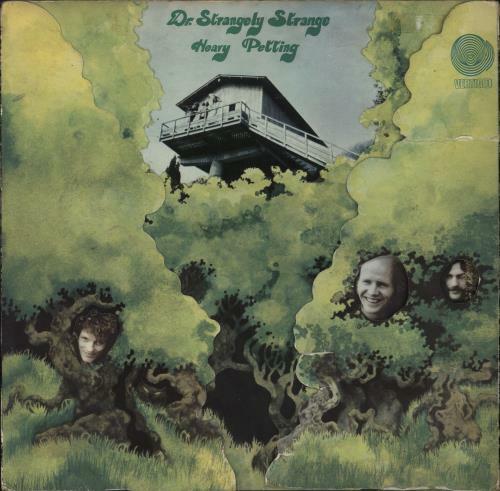 Product Information Dr Strangely Strange Heavy Petting - 1st - G UK vinyl LP album (LP record).